David Novros: Painting and Patronage from Rothko Chapel on Vimeo. 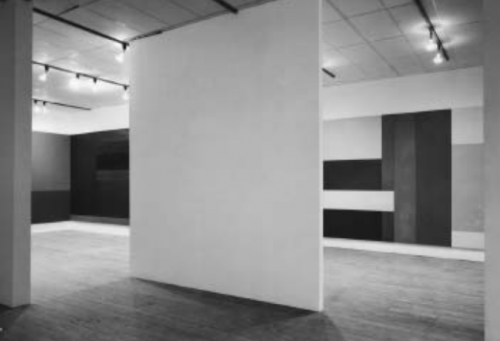 In 1975, American artists David Novros and Brice Marden exhibited four paintings at Rice University commissioned by the Rothko Chapel in Marden, Novros, Rothko: Painting in the Age of Actuality. In celebration of the historic show and on the occasion of the Chapel's 40th anniversary, a lecture series was held. "The Rothko Chapel and the Transformative Power of Art" featured David Novros and Brice Marden discussing the power of painting and its patronage and the influence of Mark Rothko on both their practices.